I had only one career choice in the 1960s – something in the medical field, with hands on treatment, the shortest study period, and world recognised training. I joined Physiotherapy training course at WAIT in 1970 as an overseas full fee paying student. After an interview held at Shenton Park Rehabilitation Hospital, I was admitted into an Associateship in Physiotherapy programme, which was to morph into a degree programme. I joined an elite group of 15 first year physiotherapy hopefuls. Throughout the 3 year Physiotherapy training, we travelled to WAIT central, at Bentley – for a few joint lectures with other allied health students. Travelling by bus was no mean feat in 1970s, involving a minimum of 2 bus changes and long walks with a lot of time waiting at very cold or very hot bus stops. There were also short forays to University of WA for some lab work. We definitely got individual attention! Physiotherapy training was at Shenton Park Rehabilitation Hospital, in prefab buildings at the western end of the hospital. No luxury of central heating, the buildings were cold in winter and hot in summer. Yet the 15 of us had fun and formed lasting friendships by sheer force of diminishing numbers. By 2nd year the number had dropped to 10 students! I think we all qualified at the end of 1972 with the title of Associateship in Physiotherapy, WAIT, WA. I returned to Malaysia and worked in Kuala Lumpur for 4 ½ years. I migrated to WA and worked as a Physiotherapist at Shenton Park Rehabilitation Hospital (RPRH) till my retirement from Physiotherapy service in 2014. A few months in both Derby and Broome Hospitals in WA in the early 80s gave great insight to health services to remote communities. There was a mid-life change 10 years later, a 2 year stint as a Physiotherapist with a prosthetic service, an NGO in Cambodia – The Cambodia Trust, under the auspices of Australian Volunteers Abroad [ International]. Physiotherapy undergrads, post grads and overseas students, now in a ‘luxurious’ building replacing the prefabs, under the elite title of Curtin University had regular placements at RPRH, for clinical experience. I lever lost sight of the strong grounding I received from enthusiastic and dedicated lecturers from School of Physiotherapy, WAIT. In the early 70s, Physiotherapy lecturers like Lance Twomey and June Rankin-Wilson, were working hard to elevate the training to a Physiotherapy degree and they set the stage for personal advancements into Masters and Phd in Physiotherapy. This hive of academic activity set the ‘gold standard’ for all students. 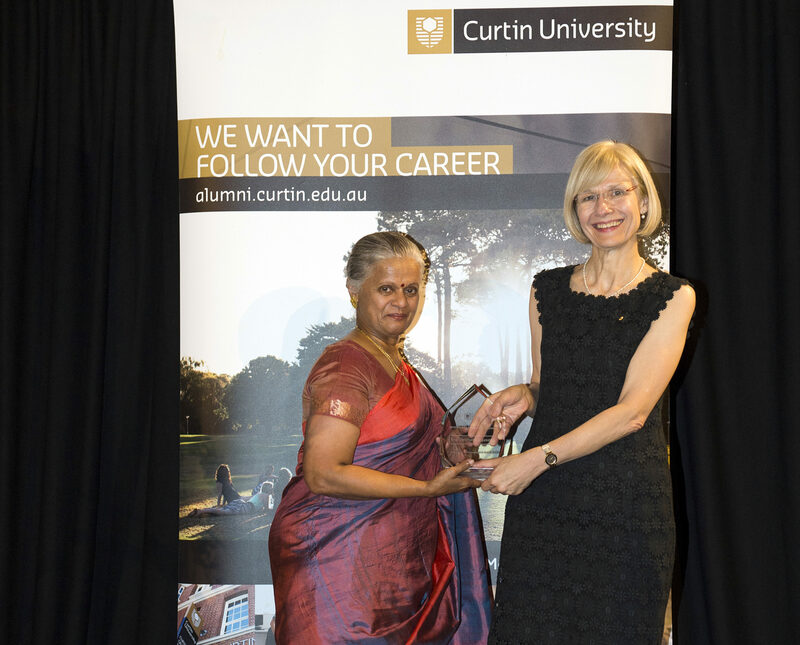 My humble Associateship in Physiotherapy from WAIT was elevated to Curtin University in 2015 when I received a Lifetime achievement Award from Curtin Alumni. I can now legally associate myself to an institution that has continued to elevate itself to great world recognition. A compensation for 42 years of having worked in a hospital, which now only exists in the pages of WA history. The journey has not ended. My physiotherapy training from the early 70’s is still in use, as I sit on clinical advisory panels and volunteer work with people with disabilities.